Ordering from TARANG Indian Instruments is very easy. Just send us an email or click on the ordering button and follow the instructions. We have deliberately not incorporated a complete online shop payment system because we find that our high quality instruments should not simply be put into a virtual shopping basket in an anonymous shop system. When you follow the ordering instructions, you do not have to pay yet. Your order will be forwarded to us by email and we will then send you an order confirmation within 24 hours (not on weekends and festval days) with all the details of shipping costs and terms of payment. Only then, when you do not disagree with the order confirmation, your order is regarded as a firm order. As a rule we deliver within Germany within 3 - 5 days at the latest (usually faster). Of course all special requests and custom-made products take longer. But in each case we can give you an exact date after you have made an enquiry or send us an order information. Our client from Germany and the European Union has the right to cancel a purchase within 14 days starting from date of shipment without giving reasons. In this case the product must be sent back in good order and condition and in the original packaging. Explicitly excluded from this cancellation right are customers' specifications that are customised to meet the personal needs of the customer or instruments that were specifically imported for the customer and which are not normally part of our product range. 1. All tablas, drums accessories and other Indian drums and percussion instruments you can also pay in our shop system on our website www.world-of-tabla.com by credit card (Visa - Mastercard/Eurocard - American Express). 2. You pay COD - cash on delivery (only possible within Germany). 3. You pay in advance by transferring the invoice amount (after receipt of the payment we are going to ship the ordered goods). You will receive the bank details together with our order confirmation by email within 24 hours after receipt of your order. 4. You can also pay by PayPal if you have an account with PayPal. Together with our order confirmation you will receive our PayPal account details. If you prefer payment by PayPal and if you state this when ordering, you can transfer the amount to our PayPal account. PayPal payments we charge an extra 2% of the total sum of the order value. In addition to our commodity price we will charge you with the shipping/packaging/insurance costs incurred. Please see our link "Shipping Costs"
For further details on the settlement of the contract please see our General Terms and Conditions. Within Europe you can pay by payment in advance or by PayPal. After ordering you will receive an order confirmation from us with an indication of shipping costs. Normally we will send you our bank details. If you want to pay by PayPal please inform us when ordering. Immediately after receipt of the invoice amount on our bank account we are going to promptly send the ordered goods. Alternatively, you can pay the invoice amount in cash (e.g. by post payment authorisation, by (registered) letter or money transfer companies such as Western Union. All customers from outside the EU (e.g. Switzerland) do not have to pay any EU sales tax; that is why in this case our prices are reduced by the German VAT of 19%. When importing the ordered goods into your country, however, you have to pay the customary VAT of your country (= import sales tax) as well as customs. If your country is a member of the European Union, you have the same right of return as customers in Germany when you have paid in advance (bank transfer, credit card payment or PayPal). 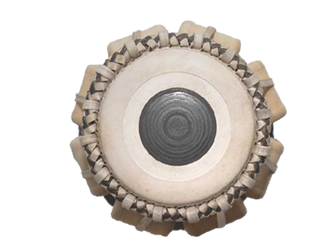 TARANG delivers musical instruments worldwide. Please ask TARANG about the respective shipping costs by email or with the enquiry form.